Wayfair is seeking a problem-solving, entrepreneurial individual to help shape the strategy and profitability for a high-growth vertical (i.e. bedding, cookware, patio furniture) on Wayfair.com. In this Category Manager role, you’ll work with external partners, our suppliers, and internal cross-functional teams to advance your category’s business agenda and drive strategic business decisions. Category Managers have ownership of key supplier relationships and make a direct impact on the category and Wayfair’s bottom line. You will be expected to define overarching goals and strategy for your category, problem-solve, articulate and execute against tactical plans, and manage key business metrics. Category Managers must be able to expertly negotiate internally and externally, while also being effective project managers. How is this opportunity unique? Category Managers interact with our suppliers every day. We like candidates with consultative mindsets who want to work with external partners. Our suppliers are important to our business and we want to grow with them collaboratively. Wayfair is a data-driven environment. Candidates with experience using data to drive decision-making are great matches. We move fast and take risks. 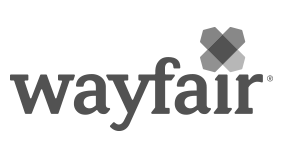 If you have experience at a start-up or in another fast-paced, risk-taking environment, you’d enjoy working at Wayfair. Be prepared to constantly evolve. Confidence is key. Category Managers have a 360° view into their suppliers and their category. You’ll need to be able to gain buy-in from senior leaders and cross-functional teams to accomplish your goals. Our business is in high-growth stage and so is our team. Are you an effective people manager? Category Managers are expected to manage others either right away or relatively soon. You’ll have the opportunity to strengthen direct management skills in a Category Manager role.